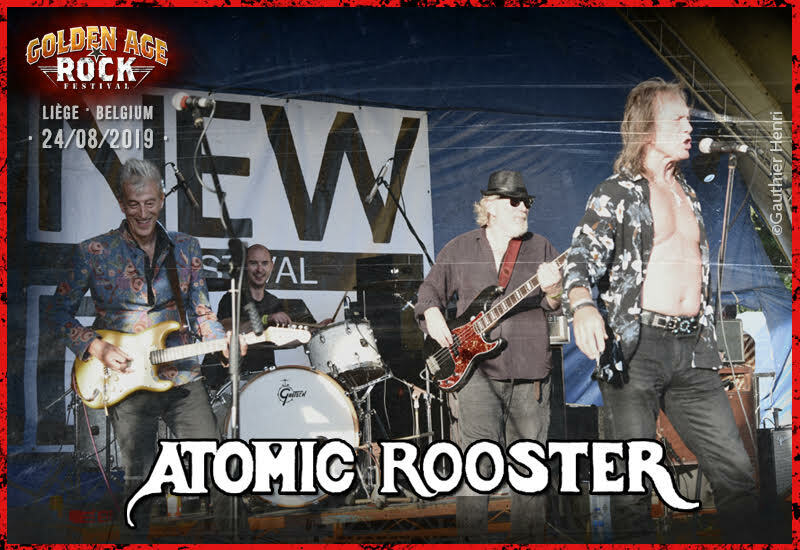 In 1971, Atomic Rooster was already a trooper of the first division of British rock with prestigious groups such as Jethro Tull, Ten Years After, Deep Purple, and Led Zeppelin. The hard rock and progressive rock of leader Vincent Crane had much visibility, the same year that vocalist Peter French of Leaf Hound had serious strokes of genius. Impression confirmed on ‘In Hearing Of… Atomic Rooster’ where our cockney singer unfurls the whole breadth of a powerful, sensible and full voice of fine blues and soul. Crane also recruited Steve Bolton, a super guitarist from Manchester for the band’s monumental album. Even though French moved around too quickly back in the day – he could resist the crazy Cactus of sirs McCarthy, Bogert and Appice – , he recently reactivated this oh so very cult Atomic Rooster with his mate Bolton. An event not to be missed under any circumstances!